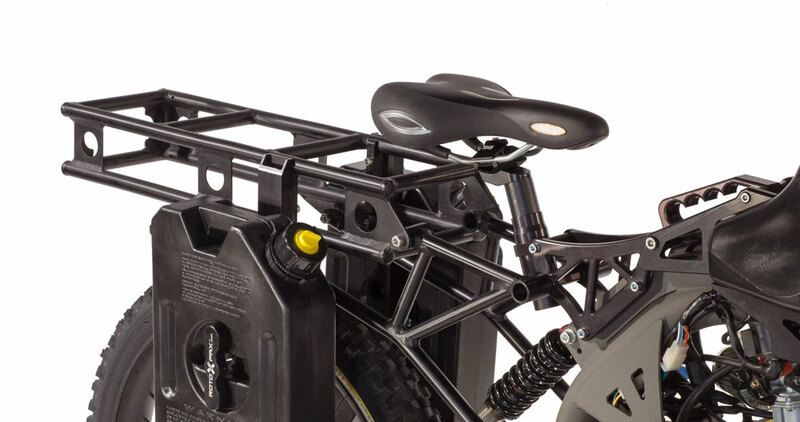 Universal mounting rack. Three gallons of fuel. 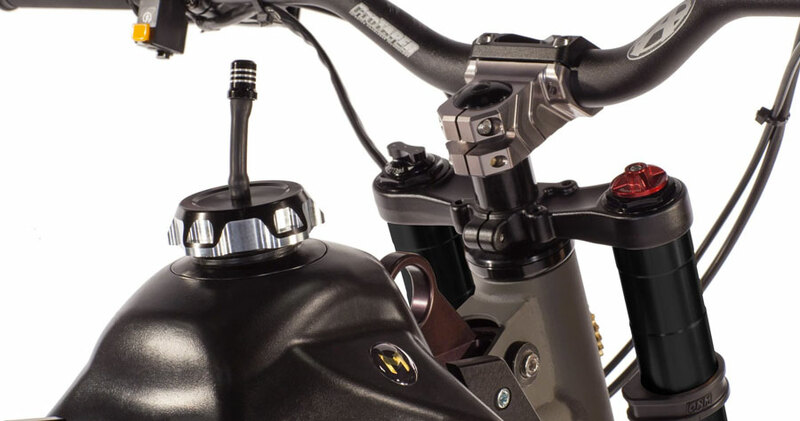 In critical times, Motoped's Survival Bike puts escape in the hands of your feet. The military-inspired superhauler has a back rack assembly primed for multiple bolt-on mounts, harnesses, and fitments so riders can pack mule their lives the hell out of Dodge and into the mountains of Banff National Park to wait out society's complete dissolution and develop their plans to rebuild it. (I'd pick the hotel at Lake Louise as my new kingdom's headquarters). 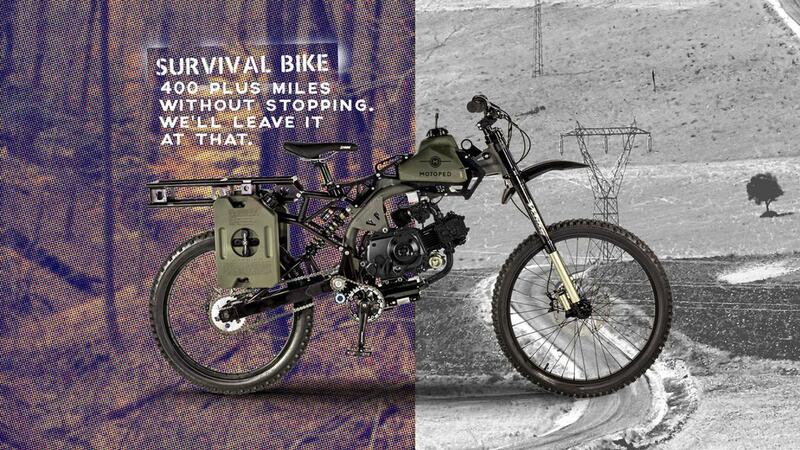 This machine of post-apocalyptic preparation, or present-day urban warriorism if you prefer, will arrive on two wheels fitted with a 49cc engine around February 2015. 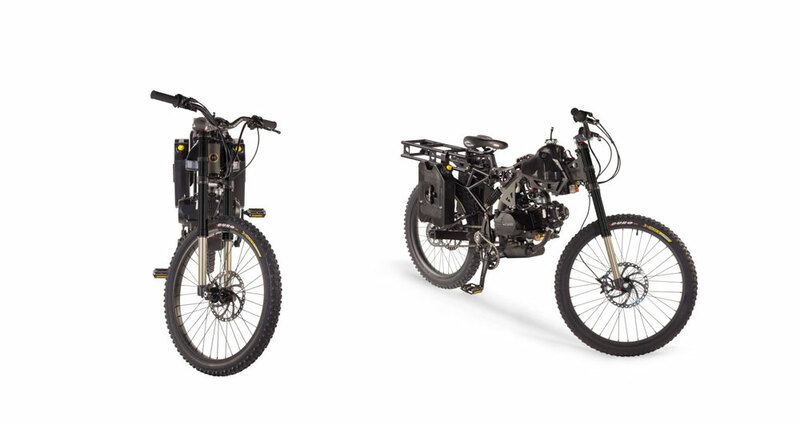 Motoped Survival Bikes can be purchased fully-assembled and ready to ride (including a stock 49cc engine), as a partially assembled kit (no engine), or as a KD box-kit buyers assemble themselves from the ground-up. 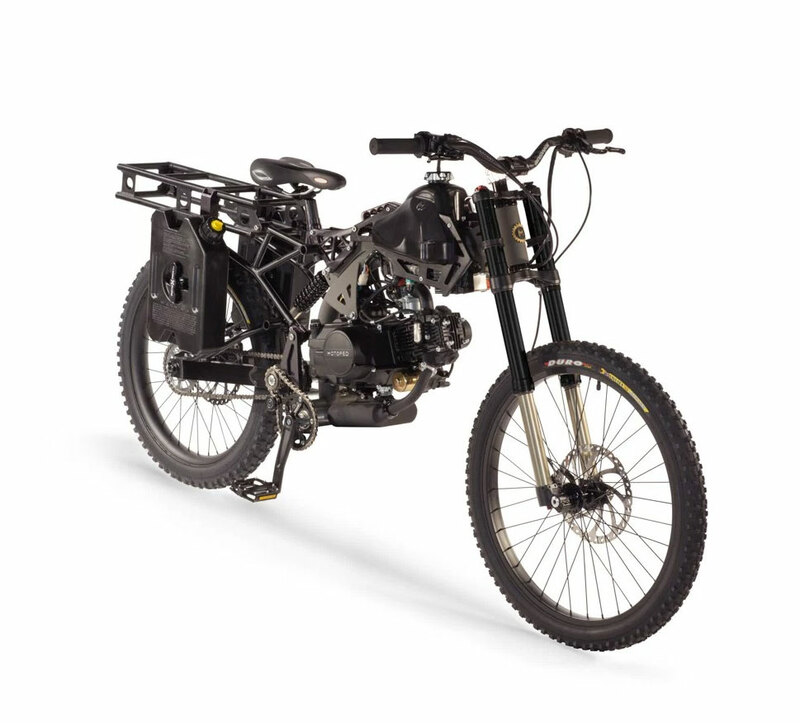 Termed a "tactical blank canvas" the bike's design accommodates fat wads of gear, plus enough fuel in a full primary tank and 2 side-mounted spare tanks to carry its passenger 400 to 500 miles without a fill-up.